In this work we show how to construct connectivity kernels induced by the receptive profiles of simple cells of the primary visual cortex (V1). These kernels are directly defined by the shape of such profiles: this provides a metric model for the functional architecture of V1, whose global geometry is determined by the reciprocal interactions between local elements. Our construction adapts to any bank of filters chosen to represent a set of receptive profiles, since it does not require any structure on the parameterization of the family. 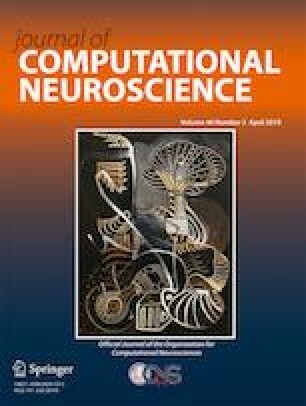 The connectivity kernel that we define carries a geometrical structure consistent with the well-known properties of long-range horizontal connections in V1, and it is compatible with the perceptual rules synthesized by the concept of association field. These characteristics are still present when the kernel is constructed from a bank of filters arising from an unsupervised learning algorithm. The online version of this article ( https://doi.org/10.1007/s10827-019-00716-6) contains supplementary material, which is available to authorized users. The authors have been supported by Horizon 2020 Project ref. 777822: GHAIA, PRIN 2015 “Variational and perturbative aspects of nonlinear differential problems”, and European Union’s Seventh Framework Programme ref. 607643: MAnET.